Having the ability to convert video files can be pretty useful, especially if you download a lot of video content or create some yourself. There are a lot of potential uses, including converting DVD files into a playable format or making files readable on your iPod, to name a few. Being able to automate this process is even better. DropFolders can handle all of this for you. 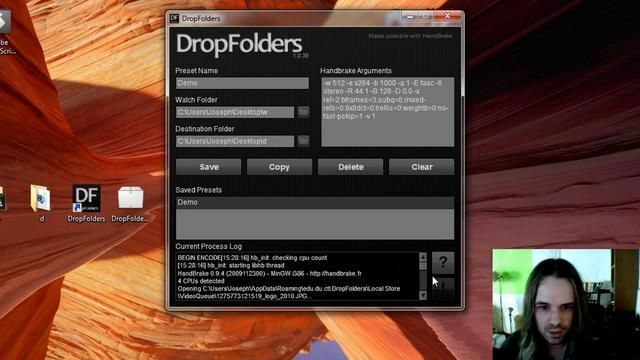 DropFolders is an Adobe AIR program to be run on Windows that integrates with HandBrake. 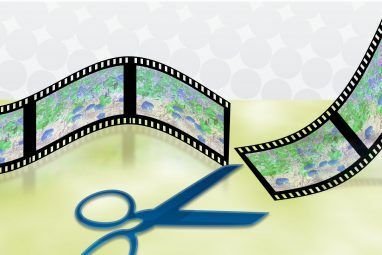 It automates the video conversion process by watching specified folders and performing the actions you assign. In this article, I am going to go over what HandBrake is capable of, as well as how its integration with DropFolders will allow you free reign over your video collection. 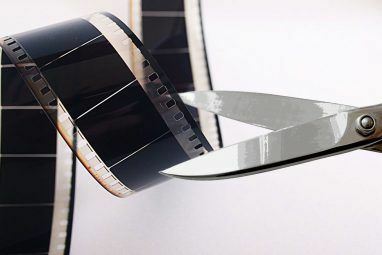 HandBrake, by itself, is one of the best free media converters and DVD ripping tools 5 Simple Steps to Rip an Entire DVD to Your Hard Drive 5 Simple Steps to Rip an Entire DVD to Your Hard Drive Have you backed up your DVD collection? Let us show you how to rip your DVDs to your hard drive for free with HandBrake. Read More out there. 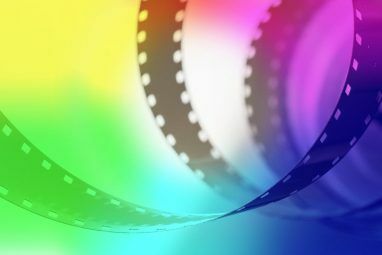 It is an open-source, multi-platform video transcoder that is available for Mac OS X, Linux, and Windows. HandBrake supports all the different variations of DVD source files, including VIDEO_TS, DVD image, real DVD, and some .VOB and .TS files. It also has miscellaneous features such as chapter selection, adding subtitles How To Use Handbrake To Attach Subtitles To A Movie File How To Use Handbrake To Attach Subtitles To A Movie File Read More , an integrated bitrate calculator, picture cropping and scaling, and live video preview. [Note]: You do not need to install HandBrake separately in order to use DropFolders. However, I recommend that you do anyway because HandBrake itself is a great video conversion tool and you may not always need the features DropFolders provides. DropFolders allows you to automate some of HandBrake’s features. Simply put, you can use DropFolders to watch a folder, convert the files within, and output the new files to a different folder. For those of you who are familiar with HandBrake, you will know that you can tweak various settings with the CLIGuide. DropFolders allows for this too. To better specify how you would like your video files to be converted, you have to input various HandBrake arguments. For example, in order to make a video file compatible on the iPhone or iTouch, you just need to copy and paste the iPhone presets into the HandBrake arguments box on DropFolders. Once a compatible file is placed into your defined watch folder, DropFolders will automatically start the conversion process and your presets will be saved for later selection. In this example, the newly created file would be placed in your chosen destination folder, ready to be copied over to your iPhone/iTouch. As stated above, you can find all of the necessary presets for HandBrake on their CLIGuide page. DropFolders handles all of the file input and output commands, so the only presets you’ll need are the encoding parameters, which you can copy and paste over. If you play around with the various settings I’m sure there are plenty of creative ways to use this application. With DropFolders monitoring your specified media folders and convert video files automatically, you can efficiently create the content you’re looking for without having to open and convert files individually using commercial software. What do you think of DropFolders? Do you like its integration with Handbrake? Leave your thoughts, ideas, and comments below! Explore more about: Adobe Air, Handbrake, Video Editor. Unfortunately there is a bug in the drop folder app, and there is no support. Is it possible to have the output filename to be the same as the folder name that contains the original dvd files? Is there a OS X equivalent? Applescript could get the job done maybe? Not sure about that one, maybe you can email/chat with the creator.